What a lucky life! We are so close to meeting baby girl and getting so so excited! Sunday we attended Trent's cousin's wedding, and then after a busy weekend we both crashed pretty hard! Monday I only had one shoot and that night we went to the food trucks, which has been one of our favorite summer activities! It really is so fun having one so close to the house! Tuesday I rested all day because my lavender shoots began! It was so beautiful! The lavender wasn't as in bloom as it had been in the past, but it was still so beautiful! I had so many great clients it was fun to capture lots of families! I did the same thing the next two nights, and it was so fun, but boy was I so tired. My friend Courtney drove down with me each night and it was so fun to have company and not be alone each night ha! We did some photos of me on Thursday and I had been looking forward to them for so long! I just love them so much! Friday was pretty mellow, only one job and then we attended a viewing for a good family friend, and headed over to the RSL game and for fireworks. It was so nice to be with the husband and just enjoy some time together. The closer we get to having her the clingier I have been getting! Saturday we spent the day at the lake with Trent's family, and it was so nice to be in the sun! Man I loved the lake, but with being so far along I stayed in my chair all day ha! Felt good to just relax. We got home pretty exhausted so we had a great night of Fixer Upper and snuggling! I love my time with trent, and sometimes get a tiny nervous cause I know it will all change, but we can't wait to share our time with our tiny little lady. We sure can't wait to meet her. Peak moment: doing her first load of laundry. ðŸ¤— It made me so excited and just made it feel even more real! 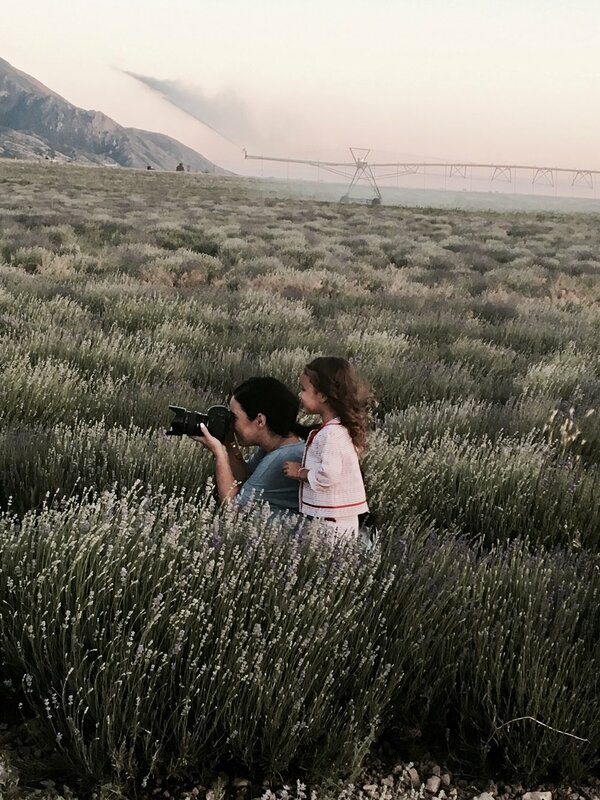 Also taking photos at the Lavender Fields!